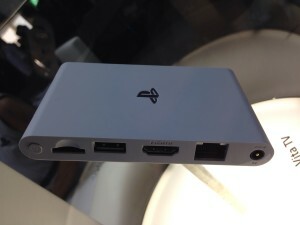 One of the many bombshells that came out of E3 this week is the news of the set top box Playstation TV. Sony as a company for decades was the one company that people turned to for electronics. Everyone used to have a Sony TV, a Walkman, a Playstation 1 and a Playstation 2 etc. But as a company over the last 10 years has stumbled and missed the boat on the new innovations that have come out and lost their crown. Everyone ditched their Walkmans and got an iPod, they stopped buying the TVs and went with another company for a cheaper price. A lot of people got an Xbox 360 over a PS3 because it was cheaper, and launched the new generation a year early. Sony had taken its lumps along the way, but finally brings something more to the table than the competition. You may say that there are already set top boxes out there, like the Roku box and Apple TV, and even the Amazon Fire TV. This is true, but can any of these companies say that their set top box can play Playstation Games also? No, they can’t. Sony’s Playstation TV carries the same price tag of $99 and if you have a dual shock 3 controller, you can play most vita games and any of the collection of other titles on the Playstation Network and the Playstation Now streaming service, once the service launches. If you don’t have a controller then get the Playstation TV Bundle that comes with a Dual-shock 3, a memory card and a free Lego The Movie game for $130. You can also stream your PS4 to another TV in your house; all of this on top of the roles the typical set top box fulfills. This is also a great way to expand the Sony ecosystem to a whole new demographic. The people that buy this set top box may not be gamers, but will get a chance to familiarize themselves with the Playstation ecosystem and games. I think that this may actually help sell other Sony hardware and software. It will just be another avenue for profit that Sony can show developers. Sony finally as a company is catching up with the times and I believe that the Playstation TV with sell well against other set top boxes. The only thing that Sony can do wrong is market it to gamers. Sony already brought it out at E3 so gamers know it’s there. They need to market it as a better version of the competition boxes that just so happens to be a part of the Playstation ecosystem. Don’t market it as a “gaming” device. If Sony markets the device correct then they will beat the competition. What do you think? 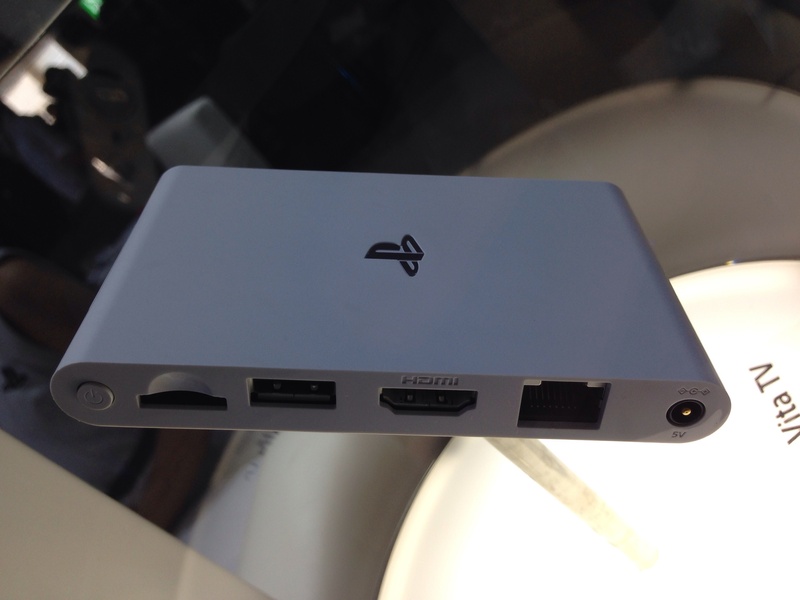 Do you think that Playstation TV will take off? Do you think that Sony is late to the party? Leave a comment on our Facebook and Twitter pages and let me know. Tagged with details, e3, e3 2014, Gaming News, info, opinions, playstation 4, playstation tv, ps tv, PS4, sony, thoughts.